Web Style Media, LLC developed a prototyped software distribution for entertainment industry and ready to offer it for for all artists, talents, celebrities, athletes, producers, agents and managers who need a quality feature-rich official website. 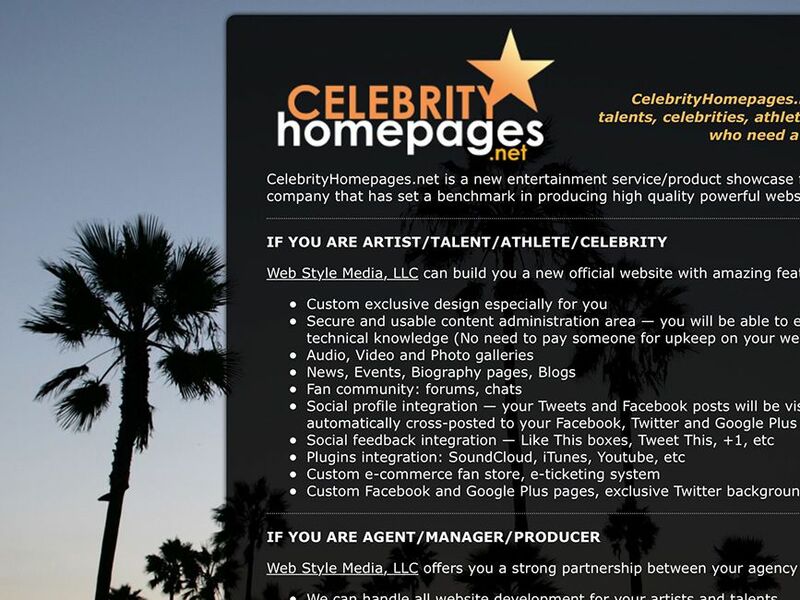 For promotional purpose we started a brochure-like website CelebrityHomepages.net where you may find more info about this service/program. Our software quality and performance are highly competitive with solutions from Sony Music Entertainment, Universal Music Group etc. With our software we are able to deploy a quality website in a matter of one month!